More and more curious things in our small music world! And this is for our enjoyment, please continue to be creative! Some clarification might be needed. The Weather Warlock is a synth built by Quintron, who has been making and showing his own instruments for decades now, most notably a device called the Drum Buddy, which is a light-sensor-controlled drum machine he plays at shows, often alongside his wife, the puppeteer Miss Pussycat. 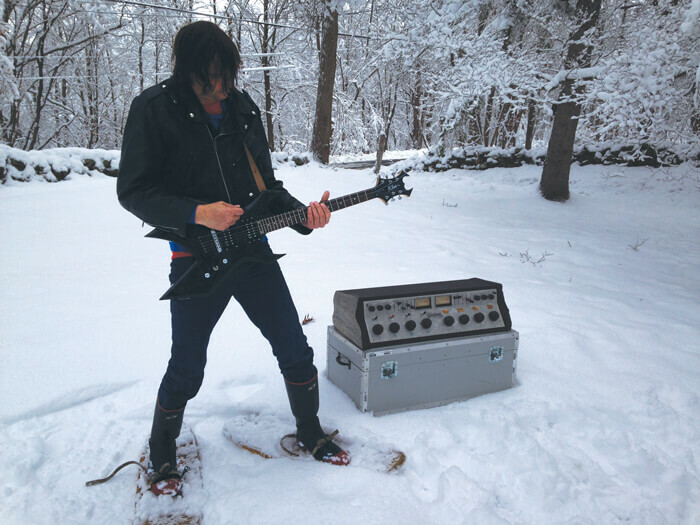 Using sensors, the Weather Warlock responds to weather conditions (half of it sits outside) and, when on, creates a continuous stream of music.